AMS members may register up to 4 attendees, two of whom may be non-member guests. Members of the general public may register themselves and 1 other guest. AMS members and their guests can begin registering on Monday 11/19/2018, just after midnight. The general public can register for any remaining seats beginning Wednesday 11/21/2018. Total seating is limited to 50 attendees. You can add yourself to the waiting list when this number is exceeded. Famed fungal photographer Taylor Lockwood will soon be coming to the Valley of the Sun. On the evening of Monday, November 26, he will be in Tempe to deliver an illustrated lecture entitled My Great Adventure: Hunting the World's Most Beautiful Mushrooms to the members of the Arizona Mushroom Society and their guests. 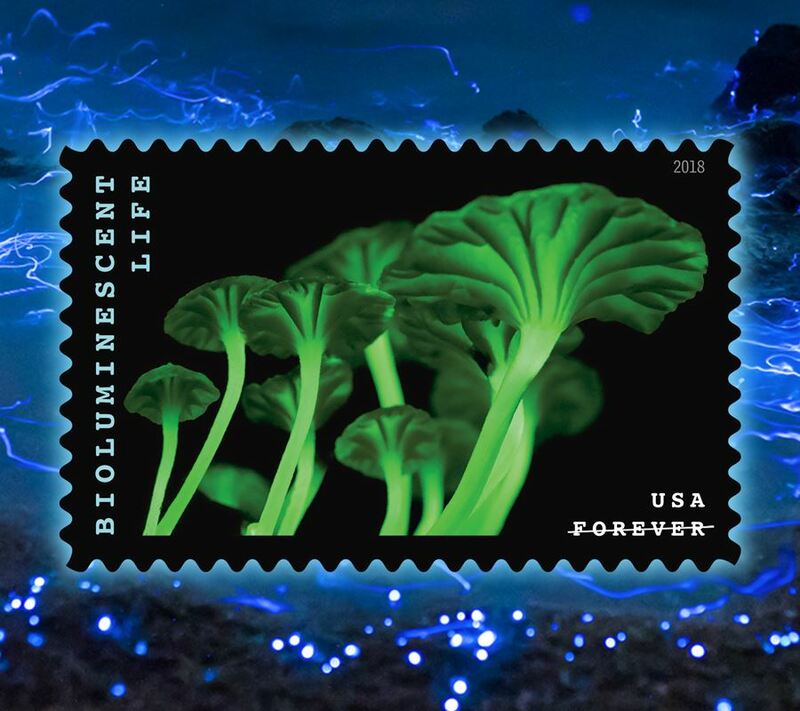 Lockwood holds the distinction of taking the only mushroom photo ever published on a U.S. postage stamp (shown above). He began hunting and photographing wild mushrooms in 1984, and for many years since then he has been working full-time in this pursuit. His worldwide travels have taken him to remote jungles and mountain wildernesses seldom seen by Westerners, enduring many discomforts and hardships in search of ever more stunning photographs and videos. Costa Rica, Malaysia, Nepal, Madagascar, Brazil, Burma, Zimbabwe, Tibet, Thailand, and Siberia are only a fraction of the places he has visited in search of the most beautiful and exotic species of fungi. 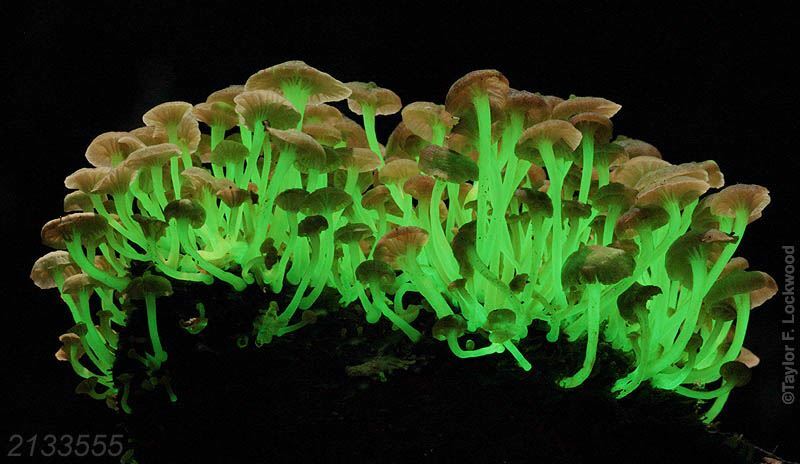 He has a particular interest in the bioluminescent varieties of fungi, and has developed advanced photographic techniques for creating the most spectacular images possible of their natural light. 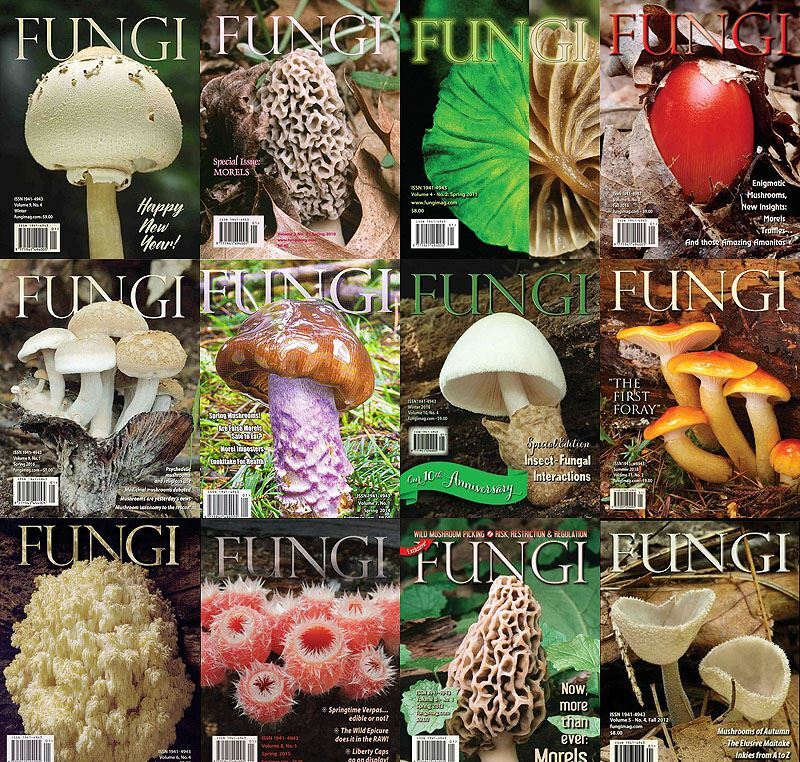 Lockwood has been published many times on the cover and pages of FUNGI magazine (see below), as well as in National Geographic, Scientific American, the New York Times, and a number of other mycological, natural history, and general interest publications. He has lectured at numerous mycological society meetings and forays across North America. Lockwood is the author of several books illustrating his worldwide findings. You can also find instructional DVDs on his website, as well as highly artistic posters and other enticing mushroom swag like mouse pads, T-shirts and placemats. Many of these items will be available for sale and autographing before and after the upcoming presentation, so bring cash, check, or credit card if you're interested. They are ideal Christmas gifts for the mushroom lovers in your family. Capacity for this lecture is limited to 50 42 attendees. Registration will open to AMS members and their guests on Monday, Nov. 19, immediately after midnight. If any seats remain available, members of the general public can register beginning on Wednesday, Nov. 21. Non-members who wish to assure they will have a seat at this presentation can join the Society on-line and then immediately take advantage of the early registration period for members. Your membership will be valid for all of 2019 and includes all members of your household. NOTE: We had tentatively planned a hands-on macro photography workshop on Sunday 11/25, but regret that it will not be possible on this visit. It may take place at some time in the future. This event will take place in the Arizona State University Natural History Collections museum in the ASU Alameda Building, at 734 W. Alameda Drive, Tempe. Parking is available immediately outdoors to the east of the building. The museum entrance is at the southeast corner of the building. Doors will open at 6:15 PM so attendees can chat with Taylor and purchase any of his publications and creations that catch their fancy. The evening presentation will begin promptly at 7:00 PM. We hope you'll make time to come and be dazzled by some gorgeous, rarely-seen mushrooms from all over the world, and pick up tips from a truly accomplished and world-renowned photographer.